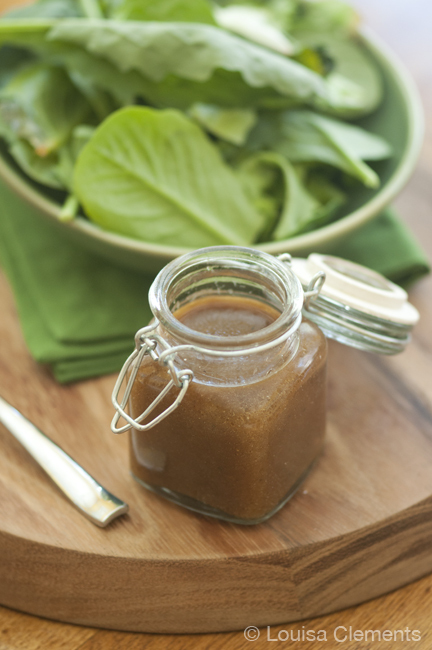 With warm weather comes cravings for healthy, fresh salads and easy homemade salad dressings like this basic balsamic vinaigrette. The thing is, salads can get a little boring if you’re eating the same old dressing and vegetable combination every day. I know this first hand because that’s exactly what I did with this dressing. I’m surprised I haven’t posted this recipe for Basic Balsamic Vinaigrette because this is what I would bring this salad dressing for lunch every single day of my senior year of high school. A glass container packed with whatever greens I had in my fridge (usually spinach), some green peppers, cucumber and green onion. I’d often add some chickpeas or white beans for a little protein or toasted nuts. The salad dressing? This simple recipe that I would whip up in the morning and toss in a ziplock bag and place it directly into the container. Once it was lunch time, I’d just pour it out of the ziplock and then throw the bag in the garbage. And toss my salad around. Easy, healthy and delicious. Now, ever since I graduated from high school, (almost two years ago…wow) I haven’t been making this salad dressing nearly as often. I guess it’s partly because in university, my schedule is completely different. I don’t have lunch at school everyday, in fact I only bring a lunch once a week. The other days I’m usually at home for lunch so my lunch is usually whatever is left in the fridge. But now that I think about it, the truth is, I don’t think I’ve been eating as many salads as I used to. I think that’s one of the side effects of university – healthy eating habits go right out the window. Recently, I’ve been making more of a conscious effort to eat healthy foods and snacks and I can tell you that I feel so much better. Is anyone else planning a health kick this month? Mine’s been going pretty well so far, I mean, I didn’t buy any chocolate covered pretzels last time I was at the grocery store which are my kryptonite because I mean salty + sweet? Doesn’t get much better. Ok enough about chocolate covered pretzels, back to salads and this recipe. This is just a really basic recipe, almost so much so that I feel like I’m kind of cheating by sharing it with you, but it’s my favourite and I think it might be your new favourite too. Sometimes I switch this up my using different kind of mustard depending on what I have in my fridge, Walnut mustard is delicious or sometimes I’ll use a grainy Dijon instead of a smooth one. But either way, this salad dressing is unbelievable with the perfect viscosity. The trick is to whisk the balsamic vinegar with the honey and Dijon before adding in the oil. Then slowly drizzle in the oil while continuously whisking to emulsify the vinaigrette, and voila a perfect dressing. 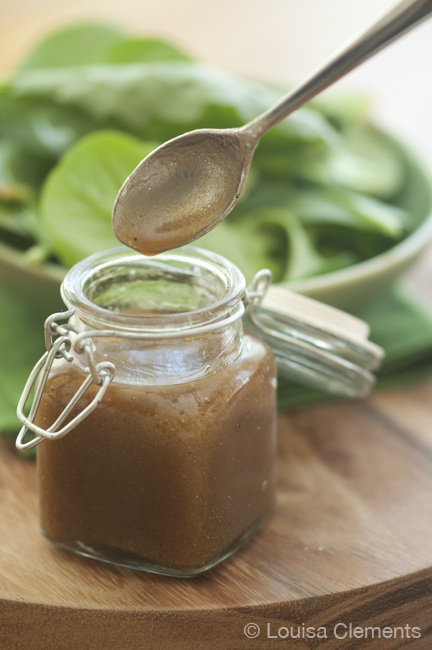 A simple basic balsamic vinaigrette, you'll never use store bought dressing again! In a medium sized bowl, whisk together vinegar, Dijon mustard, honey, salt and pepper. Next, while continuously whisking, pour in olive oil in a light, steady stream. Continue to whisk until olive oil is incorporated into vinegar and dressing has thickened, about 30 seconds. The dressing should be thick enough to coat a spoon (as seen in photo above). The oil and vinegar should not be separate. Are you on a healthy kick too? What kinds of recipes are you looking for? Let me know. Give this Basic Balsamic Vinaigrette a try for your next lunch. I agree that we're finally into salad season and this is such a great basic dressing recipe. I love that it has a bit of Dijon and is only lightly sweetened. (I always make mine with a touch of molasses:0) it goes really well with balsamic). 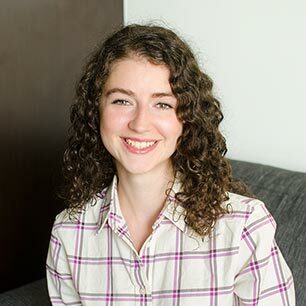 Hi Bridget,I love that you add molasses to your dressing - I've never tried that before but it will definitely be in my next salad dressing recipe. Thanks for the great idea! Hi Aggie,Love that you're adding salads back into the normal routine. Hi Rhonda,Thank you, let me know if you give it a try!